How much money can bloggers make? When I started my blog, I had no idea you could make a part or full-time income blogging. After a few months, I started reading income reports and became pretty inspired. I love reading income reports because they demonstrate how real people can make money by monetizing a blog and/or using it as a platform to launch a business. After reading a good blog income report, I often feel motivated to keep working hard on my blog and focus on specific areas of my strategy. Not all blog income reports are helpful, however. The ones I like are specific and show readers exactly how the blogger is making money. I like income reports that reveal certain strategies to try and assess what has and hasn’t been working. Ultimately, readers also like to see a summary of expenses as well. If you’re trying to monetize your blog, it’s important to have realistic expectations. Most serious bloggers are willing to invest in their site and will have expenses to cover for different services and programs. 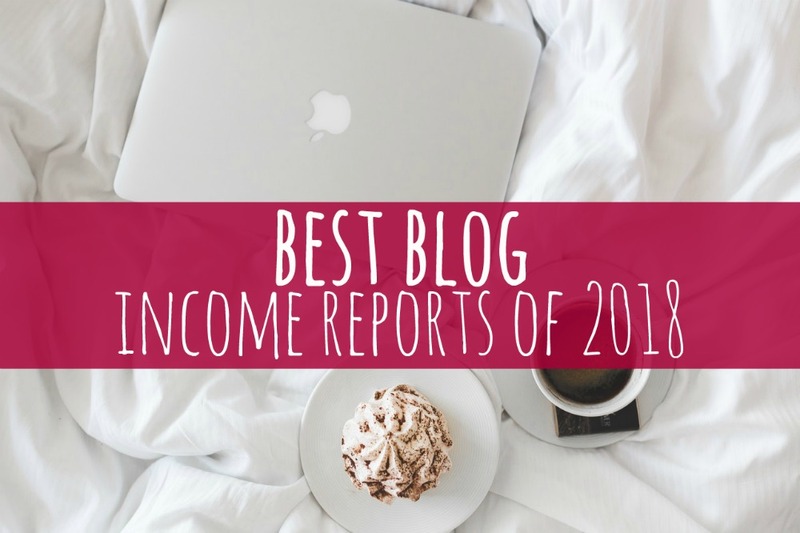 Below are some of the blogs with the best income reports of 2018. Kristin started her blog Believe in a Budget back in 2015. Shortly after, she started experiencing with Pinterest marketing and used Pinterest to boost her page views to over 6 figures. After sharing a case study detailing her results, she started picking up Pinterest virtual assistant clients and further monetizing her blog. Kristin teamed up with another blogger Gina Horkey to create a 6-figure-earning course called Become a Pinterest VA Today. Her blog income reports are reports date back to April 2015 when she earned $61.83. Her highest income month to date was April 2018 where she earned $109,878.70. That’s a HUGE income jump to make in just 3 years. What I like about her income reports is how she explains all the tools and resources she uses and breaks her income sources down so it’s very understandable. Check out the latest income report on Believe in a Budget here. Bobby Hoyt launched the Millennial Money Man blog as he was actively paying down his student loan debt. He paid off $40,000 of student loan debt on a teacher’s salary and did it mainly by living below his means. After becoming debt free, Bobby quit his job as a high school band teacher and become a full-time blogger. He launched a marketing company on the side and his blog really took off from then. Bobby’s down to earth writing style, detailed and helpful content, along with his advanced marketing skills helped grow his blog and the income it was bringing in. The income reports on Millennial Money Man are great because they show the growth of the site over time along with exactly how Bobby makes money with his blog. I also like all the personal touches and life updates he includes as it serves as a great reminder to everyone that he’s a real person who experiences good days, bad days, and has obstacles to overcome just like everyone else. In the latest Millennial Money Man income report, Bobby brought in$53,212.15. Check it out here. Allan Liawan started The Practical Saver in 2013 when he was in $40,000 of debt. Now, he and his wife are debt free and have saved over $400,000! The blog offers readers helpful tips for budgeting, meal planning for less, along with saving and making extra money. Allan’s income reports are very detailed and include screenshots and specific strategies he uses to monetize his blog. If you’re looking to get better at affiliate marketing and SEO, these income reports are a great read. Check out The Practical Saver’s latest income report here. Mindy initially created This Fairy Tale Life to help track she and her husband’s wedding planning process as they planned a dream wedding at The Disneyland Hotel. Now, she blogs about Disney vacationing and Disney-themed activities, travel, weddings, food and blogging. Mindy monetizing her blog in a variety of ways and shares goals and any tools she’s using. 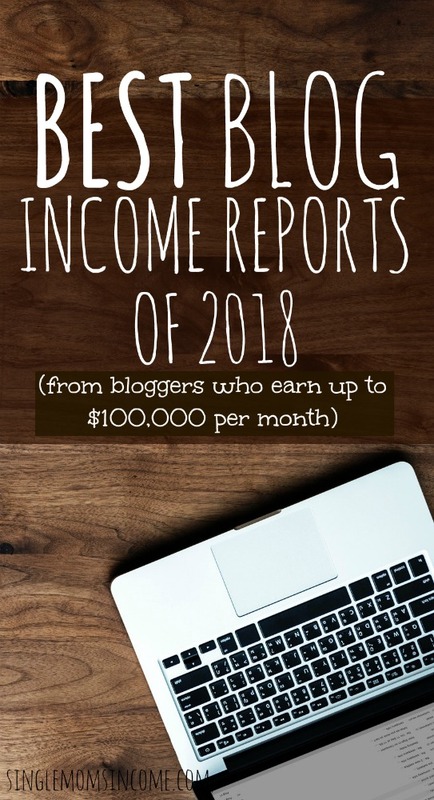 While her income reports are on the shorter side, she offers to help other bloggers by answering questions and taking any suggestions for future income reports. Michelle launched her blog Making Sense of Cents in 2011 to share her personal finance journey and teach others about money. She ended up paying off $38,000 in just 7 months. Michelle has tried many different side hustles mentioned on her blog like mystery shopping and renting out her spare room. However, the most profitable type of work has been monetizing her blog. Michelle has received a lot of success from affiliate marketing and even created a course called Making Sense of Affiliate Marketing to teach others how she makes $50,000+ per month in affiliate income. What I like about Michelle’s income reports is how detailed they are. She shares how much she makes from each specific affiliate and often answers a reader question each month for extra context. Michelle has been tracking her income on the blog since May of 2012. She consistently earns over $100,000 PER MONTH now. Check out the latest income report here. Smart Passive Income is a blog that Pat Flynn created when he got laid off from his job in 2008. It has now evolved into a top online resource for small business success and profitability. Pat has created several courses and books including the popular book Will It Fly which walks readers through the process they should take when determining if their business idea will be profitable once it launches. Pat hasn’t shared any income reports this year, unfortunately, but has made it onto this roundup due to the quality of his monthly income reports from past years. Pat’s income reports are super detailed and analytical. He made $2 million in the past 12 months and his reports show what works and what hasn’t worked for his business. I’d recommend these income reports for anyone who’s looking to launch and manage multiple businesses as a result of their blog. Check out past income reports here. You can learn a lot from blogger income reports. 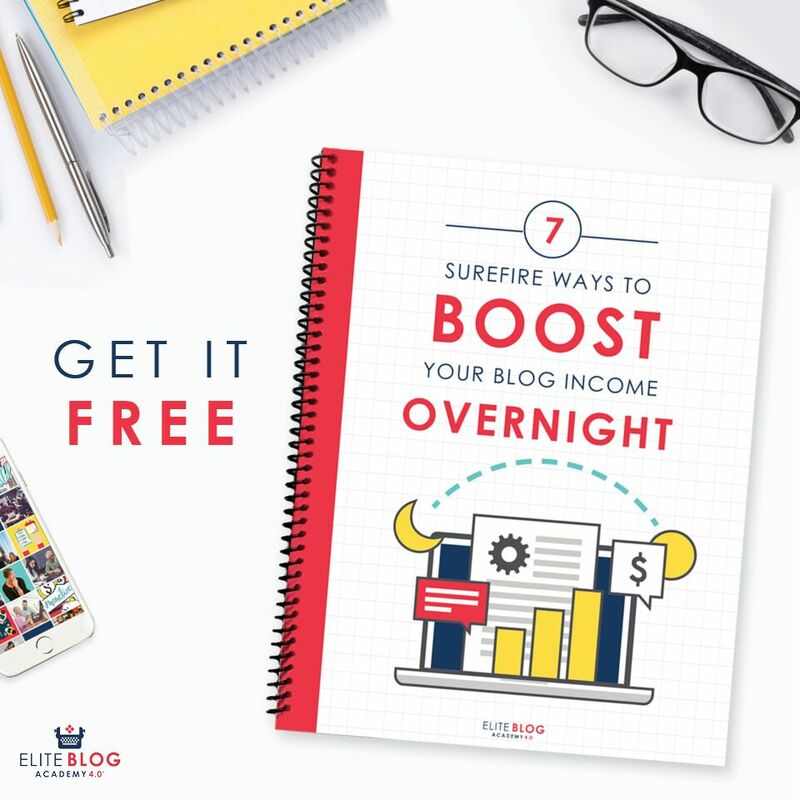 This roundup list is just a start as there are many great blogs out there that provide quality tips, resources and strategies with their income reports. If you’re looking to start a blog of your own and monetize it, you can check out Alexa’s free blogging email course and get started today. Have you ever thought about starting a blog or making an income from it? What’s your favorite blog to read income reports from? How to Start a Blog + Make Money – This step-by-step tutorial will show you how to start a blog and has a link for a discount for professional blog hosting with Bluehost. It also shares the top five ways to make money with a blog. SEO for Bloggers – What Works – If you’re already a blogger here’s everything I know about SEO including how to find topics to write about and how to format your posts. 6 Blog Monetization Mistakes – If you’re a new blogger you may be ready to make money but you’ll want to make sure you’re not making these mistakes first. How to Earn with Ad Networks – Ad networks have been a consistent earner with this blog. In this post I share everything I know about making money through ad networks. wow great – its motivate new blogger like me -and i want to say i am facing difficulty to get dofollow backlinks and people asking for money, doesn’t matter you give value or whatever so what you suggest to build backlinks ? Making friends with other bloggers and then guest posting. Thanks Alexa & Chonce.. you ladies always provide such great resources for making money online!